What mod3 file are you importing? What folder is it in? The tool imports LODs, they should be arranged in layers by default. Leave only lowest LOD number layer active and it should show you only the highest model detail. 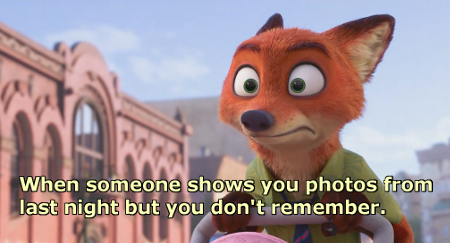 I was absolutely forgetting that and now I feel dumb. Thank you man! You have any clue how to get the textures working? Never worked with .tex before personally. I haven't used it myself, but it seems to do what it says on the tin. DO NOT use this tool, it's not working (yet), tested it myself. Hello everyone ! 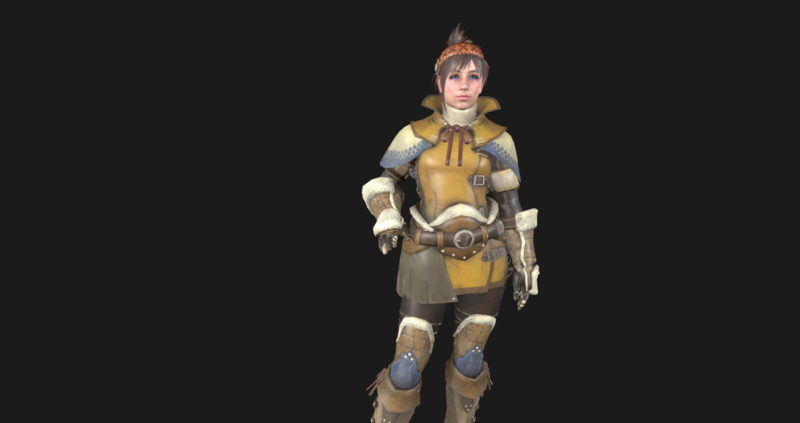 I have a question about MHW model i got .mod3 extention but i try to import it on blender i have do that with mh3u plugin but i don't found how i can import no plugin avaible for that ? Thank you for this topic realy good job ! I can attest to that, also. I wound up using this tool instead, and it works decently. The textures are missaligned but its not difficult to realign them. The tool seems to have Issues with normal maps, too, which is a bummer. Awesome, where did you happen to find this? digivee wrote: I can attest to that, also. I wound up using this tool instead, and it works decently. The textures are missaligned but its not difficult to realign them. The tool seems to have Issues with normal maps, too, which is a bummer. Not every texture uses BC1 compression, normal maps will use BC5. 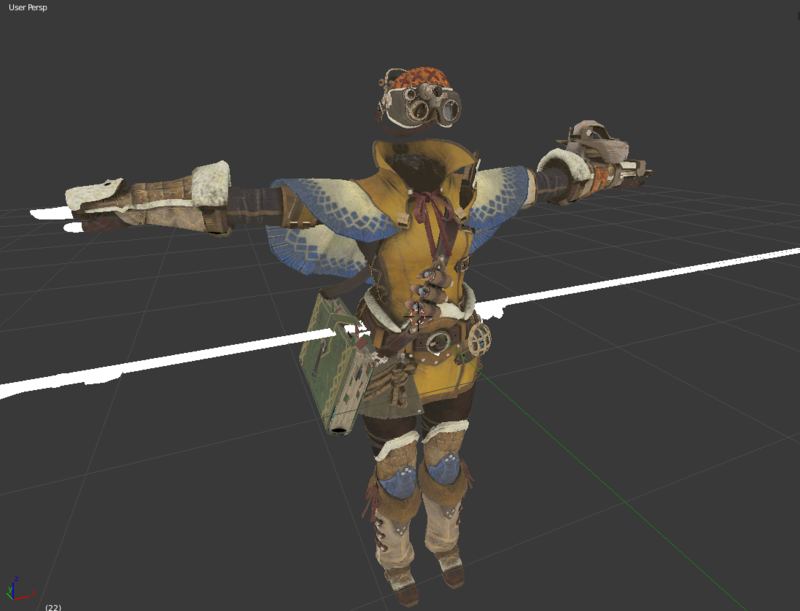 Any way to import the .mod3 into blender? 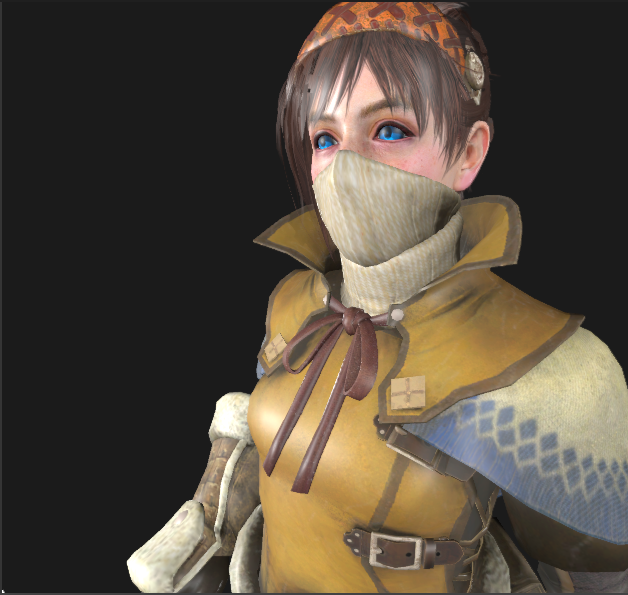 Hotfix BETA 5.1 has been released with fix of false "Invalid header" message for non Monster Hunter World mod versions. PredatorCZ wrote: Hotfix BETA 5.1 has been released with fix of false "Invalid header" message for non Monster Hunter World mod versions. Thank you so much for such great tool, still learning how to use it Really appreciate your work. by the way,where the eye origin color texture ,what a pity...according to "npc002_eyelens.mrl3" ,in "pl\common_tex\face\eye_fakesphere_BML“ ? Last edited by dian333 on Thu Aug 30, 2018 10:14 pm, edited 1 time in total.